Click here to see my images on PORT with an accompanying interview. One of the images also appears on The Business of Fashion’s daily digest here. 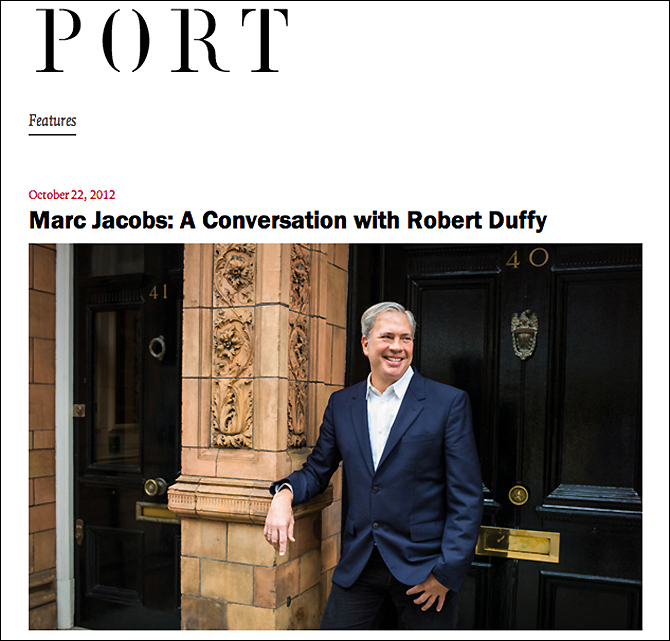 This entry was posted in Photography and tagged MARC JACOBS, PORT MAGAZINE, ROBERT DUFFY. Bookmark the permalink.